BillHustonBlog: EXCLUSIVE: Valentine's Day Legends Golf Fire cause: PIPELINE! EXCLUSIVE: Valentine's Day Legends Golf Fire cause: PIPELINE! ...A STRUCTURE FIRE WHICH MAY HAVE BEEN A RESULT OF A RELEASE OF NATURAL GAS CAUSING DAMAGES WHICH EXCEEDED THE $50000 THRESHOLD. IT IS UNKNOWN AT THIS TIME IF A RELEASE OCCURRED AND THE INCIDENT IS UNDER INVESTIGATION. 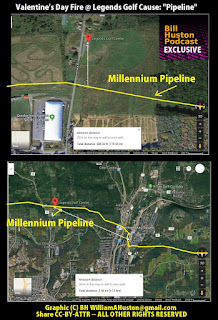 Under the incident type, it's labeled "Pipeline". 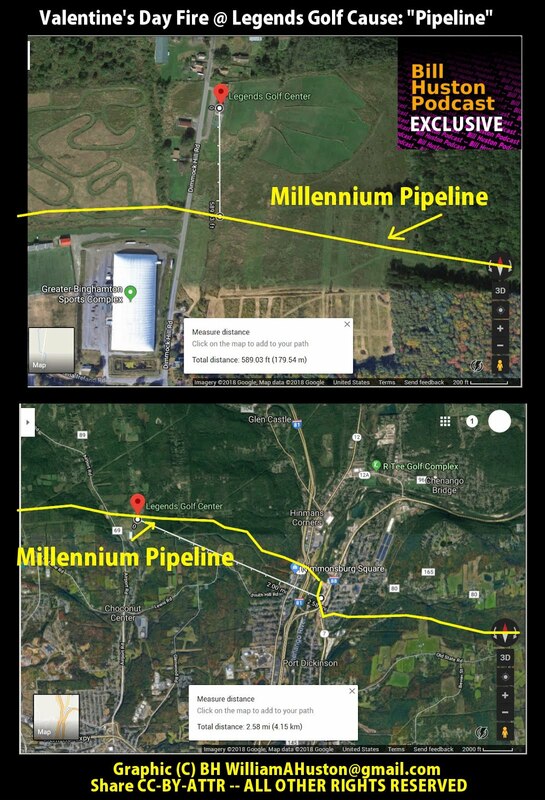 The structure that burned was ~590 feet from the Millenium Pipeline, and 2.6 miles from the proposed NG Advantage #BombTrucks terminal in the Town of Fenton. This has not been reported by any corporate news outlet, including NPR affiliate WBNG. I urgently need your donations to sustain my work! FB Discussion: Stop the #BombTrucks!